STORM provides critical decision making tools to all European Cultural Heritage stakeholders charged to face climate change and natural hazards. 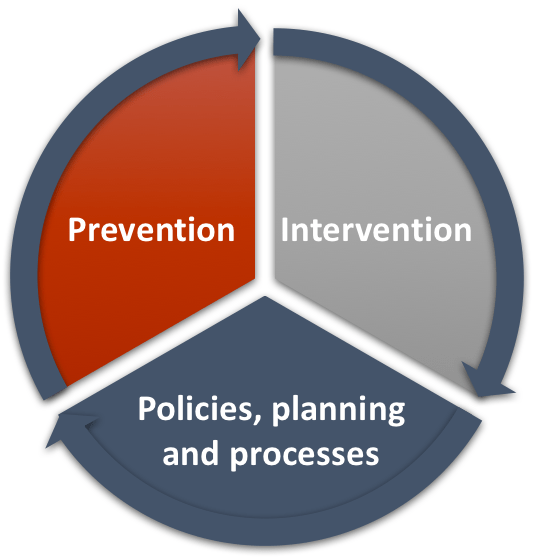 The project improves existing processes related to three identified areas: Prevention, Intervention and Policies, planning and processes. Objective 1. Select, evolve and integrate innovative environment assessment methodologies to effectively and accurately process, analyse and map environmental changes and/or natural hazards. Objective 2. Define and implement an innovative supporting service for the mitigation of natural hazards and climate change, and the assessment/management of corresponding threats while minimizing their impact. Objective 3. Provide innovative, cost effective, non-invasive and non-destructive methods and processes, as well as applications for survey and diagnosis based on the study of materials properties, particular environmental conditions, and profile of the cultural assets to be assessed. Objective 4. Define and implement models and services for generating and managing a situational picture based on the data/information collected from the field by physical and human sensors and evaluators, the so called “crowdsensing”. Objective 5. Provide innovative practices, software and tools for more reliable maintenance, quick restoration and long-term conservation of the Cultural Heritage assets, preserving their historic and cultural integrity. Objective 6. Define a collaboration and knowledge-sharing framework for the community of stakeholders to co-create, share and maintain improved practices, knowledge and experience on cost-effective and eco-innovative solutions for sustainable management and conservation of Cultural Heritage in Europe. Objective 7. Propose adaptations, changes in existing policies and validation of new knowledge in government processes. Objective 8. Cost analysis for the sites protection against natural hazards managed by the STORM data analytics tools.